In the words of my daughter, “I love, love, love this! 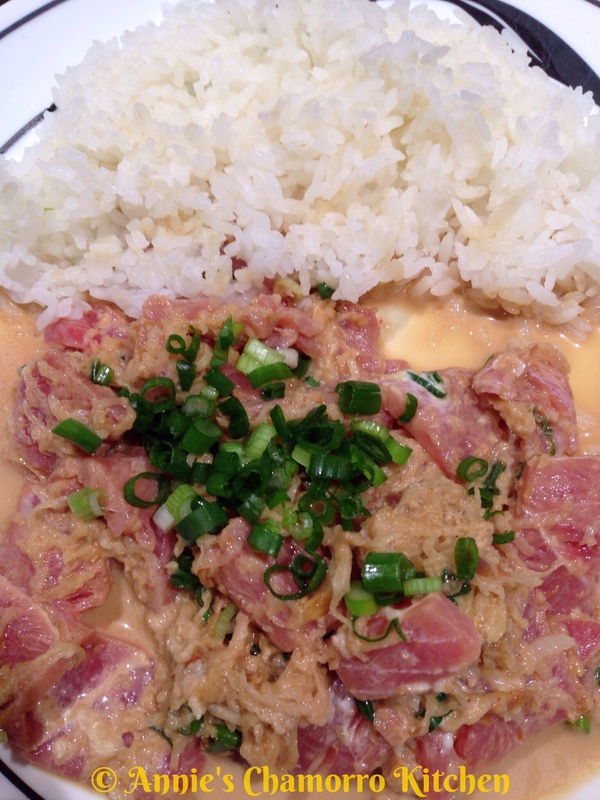 It’s almost as good as your tuna poki!” That’s my picky-eater daughter, mind you. 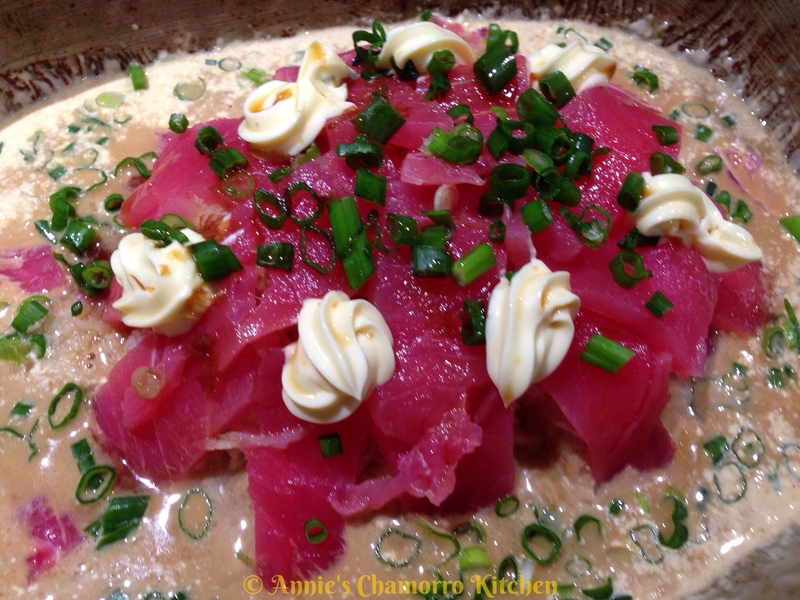 She even eats the shredded RAW RADISH in this dish! YES! 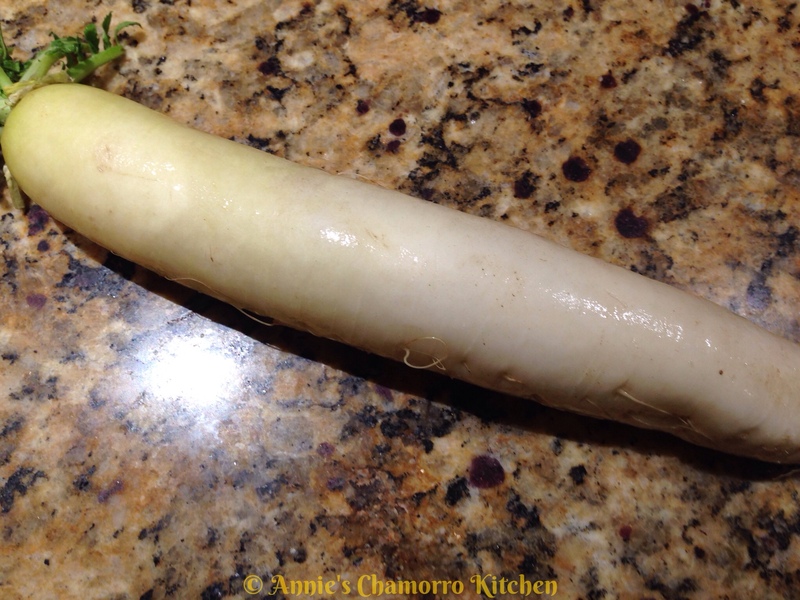 Radish, you ask? In sashimi? Don’t knock it ’till you try it. This recipe is all about the sauce, I think. 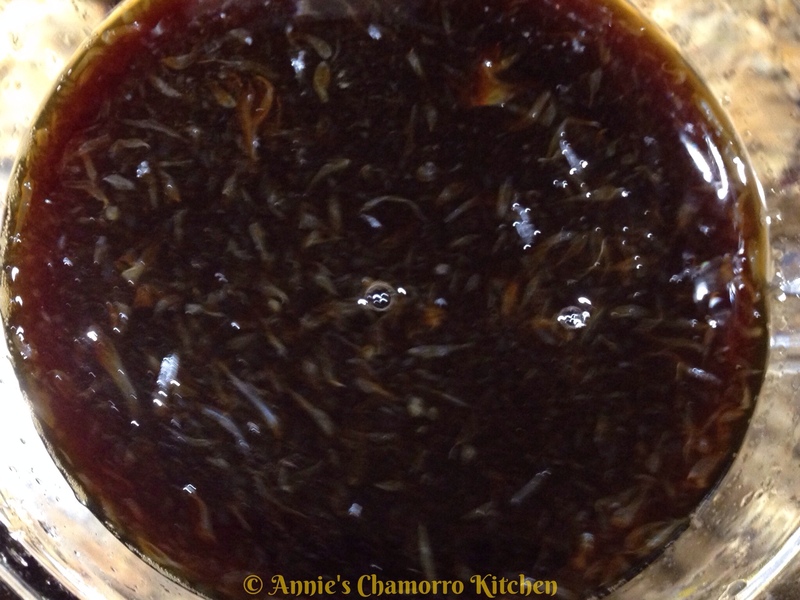 It’s my version of ponzu sauce. 1 small piece of dried kelp, about a 4-inch piece will do. 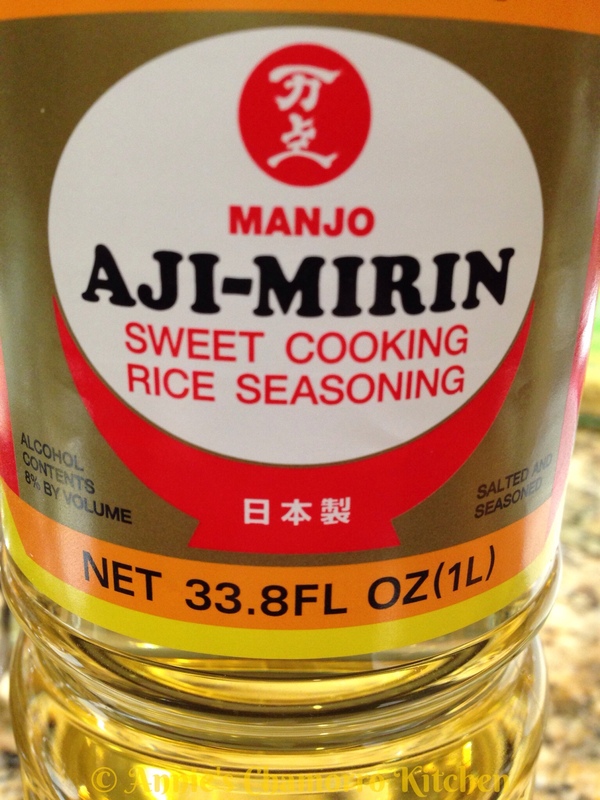 You can find this and the other ingredients for this recipe at most Asian markets. 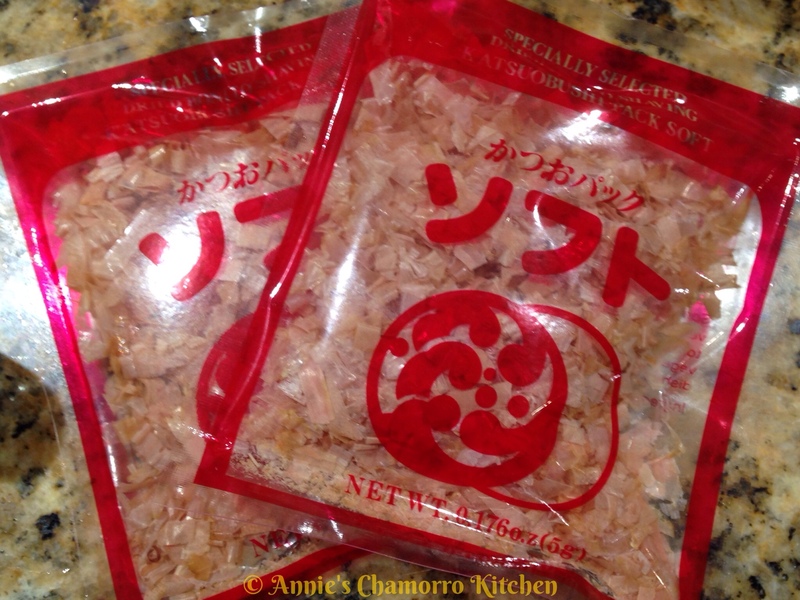 2 packets dried bonito flakes (0.17 oz. per packet). The kind I buy comes in a package that contains 5 of these packets. 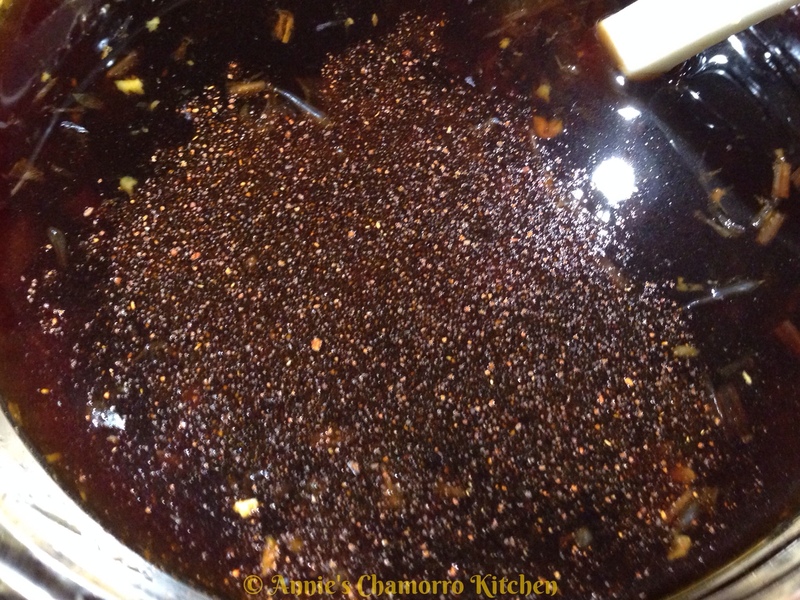 Cayenne pepper, about 1/4 teaspoon, more or less to taste. 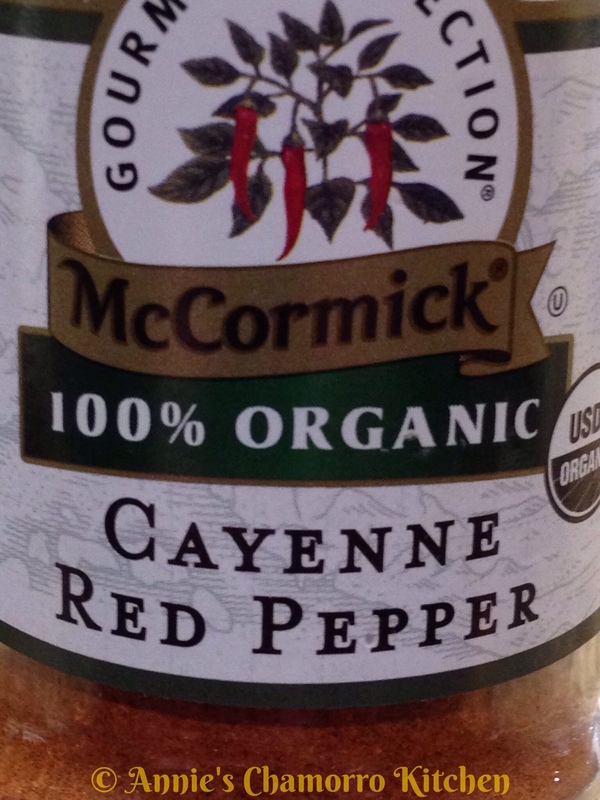 I like using Cayenne — it dissolves easily, and it’s not too spicy. Even my “little” one eats it. Well, she’s not so little anymore, but she’s sooooo picky! 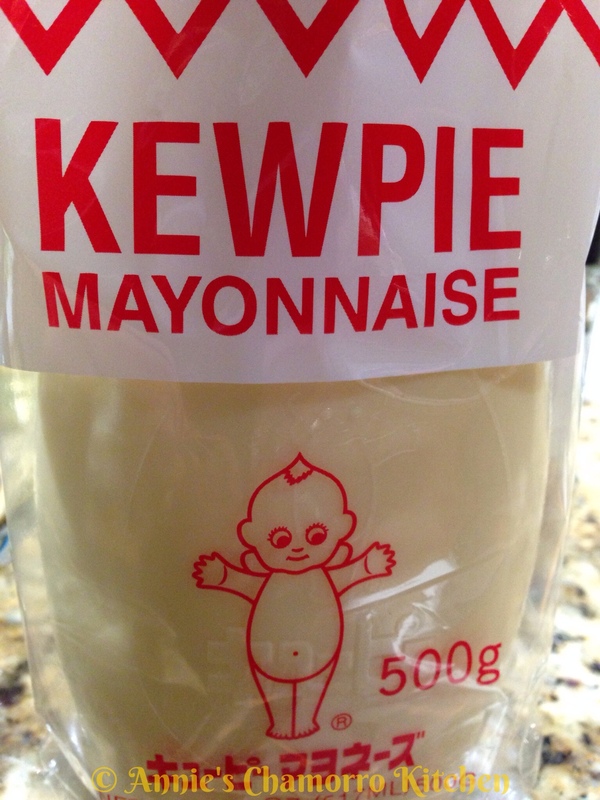 Kewpie mayonnaise. Don’t substitute with regular mayo. The main difference between Kewpie and regular mayo is that kewpie is made with the egg yolks only, whereas some regular mayos are made with either only egg whites or whole eggs. 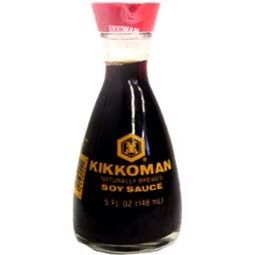 Kewpie is also creamier and just a tad bit sweeter that regular mayo. 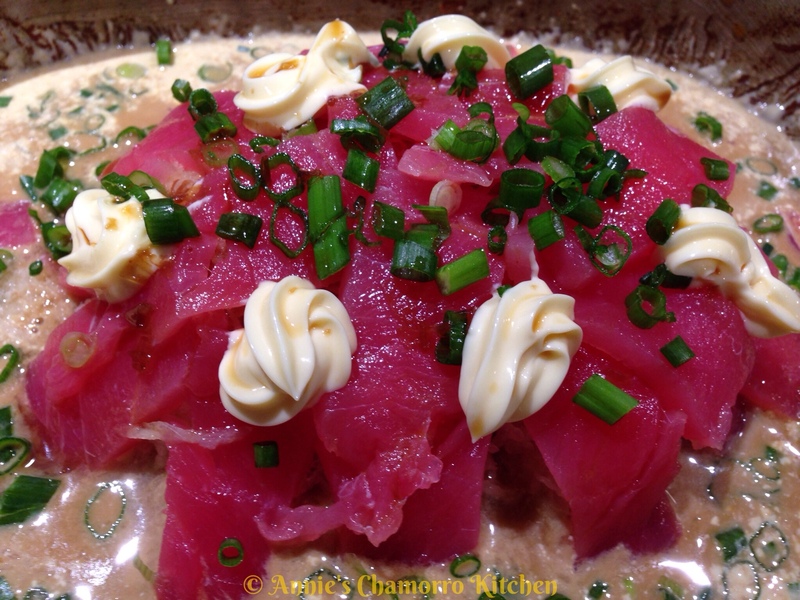 Anyhow…look for and use kewpie mayo for this dish (no subs). Rinse, peel, and grate the radish. 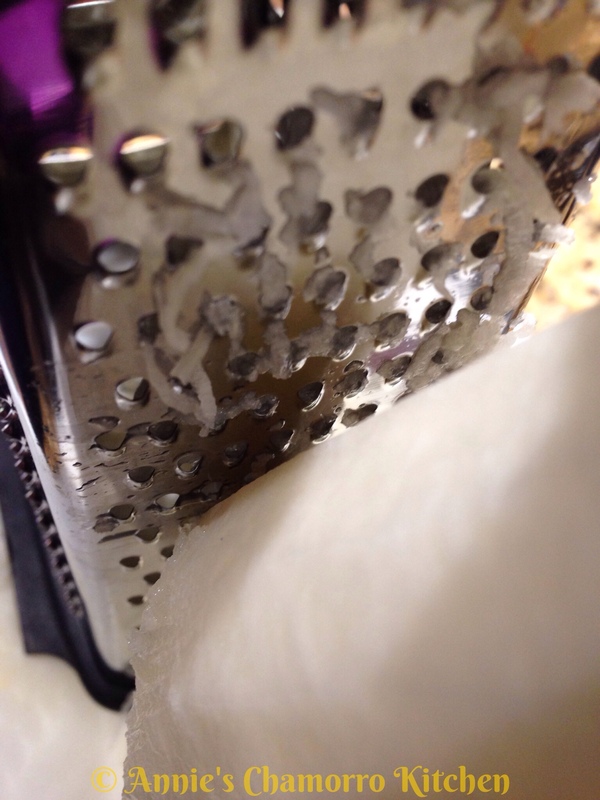 I used a box grater, grating the radish on the side with the second smallest holes. Set aside. 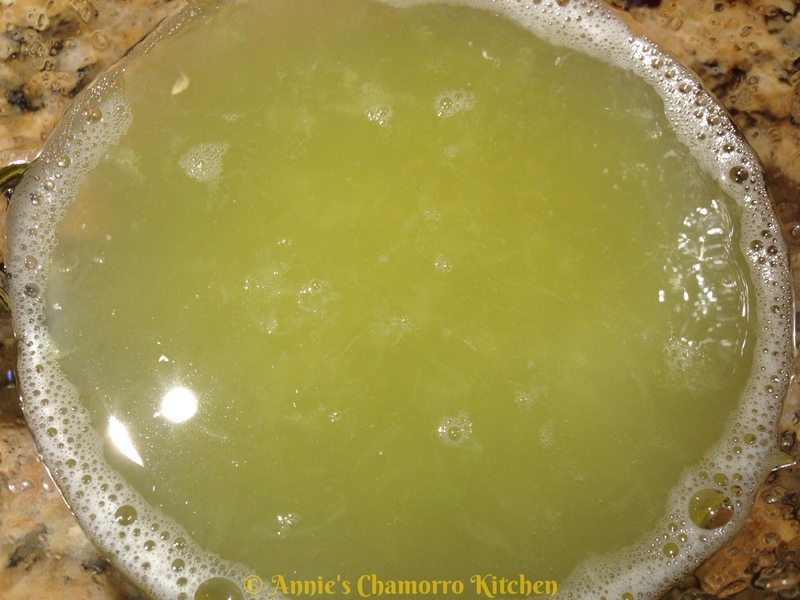 Place the lemon and lime juices into a mixing bowl. 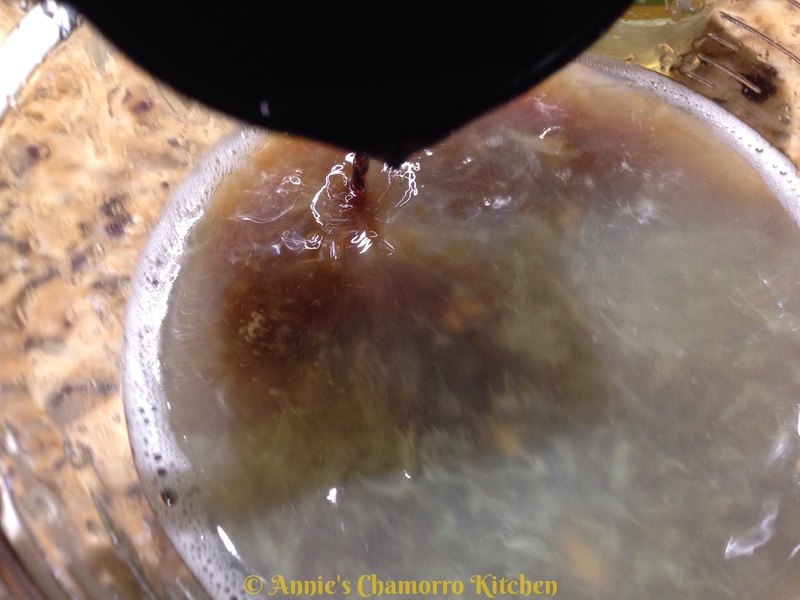 I picked out the seeds before squeezing the juice out of them (I like leaving the pulp in the sauce). 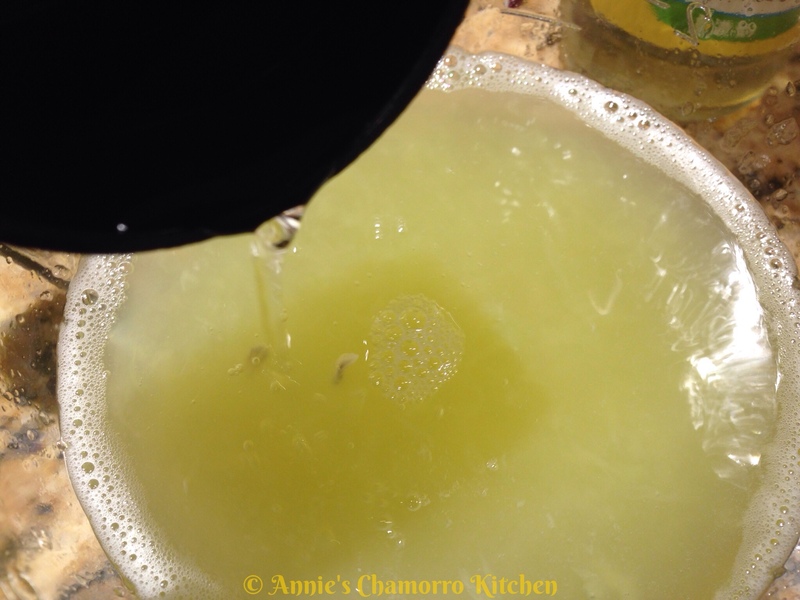 You can use squeeze the juice into a small strainer if you want to strain out the pulp. You need about 1 cup of juice. 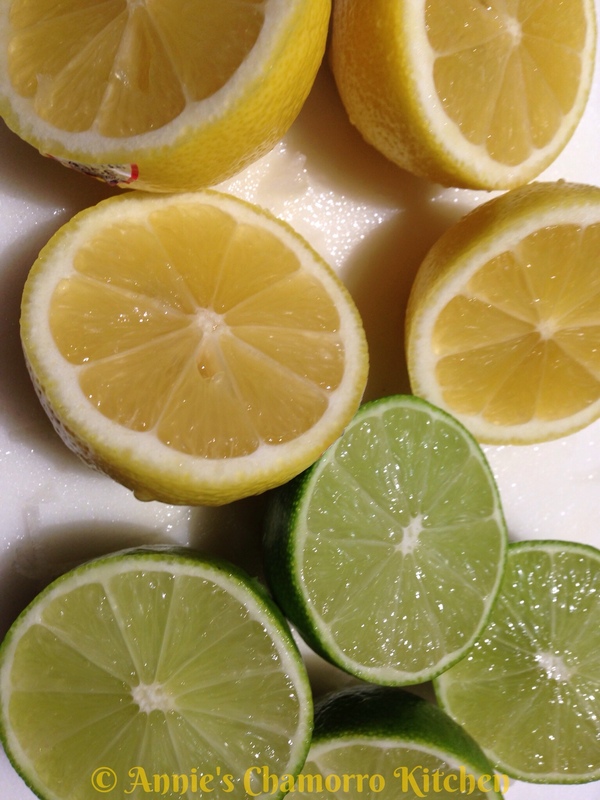 If you have smaller fruits and get less than a cup of juice, squeeze more juice out of either a lemon or lime (your preference) to get about a cup of juice. 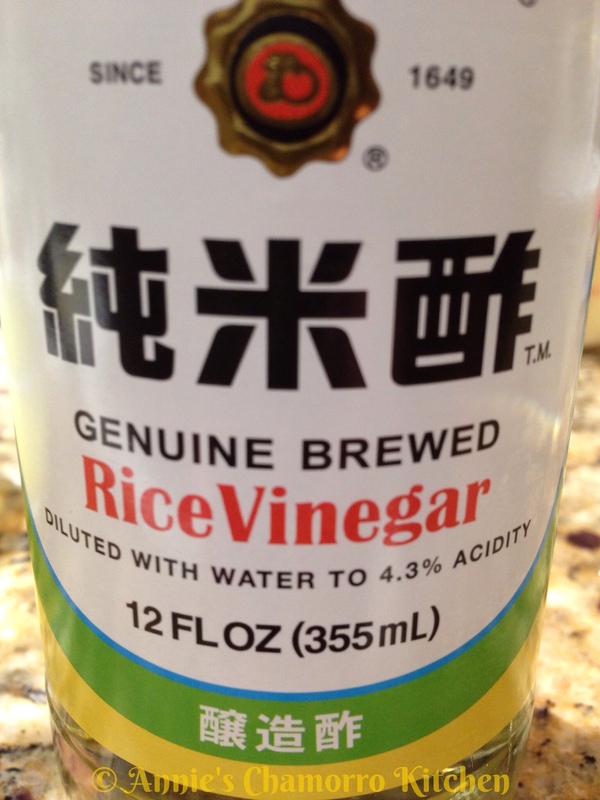 Pour in the rice vinegar. 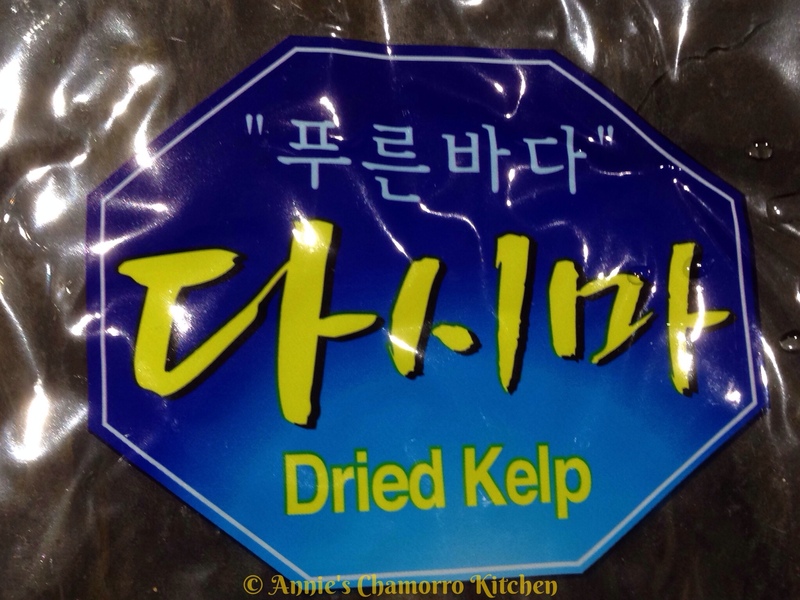 Add the dried kelp. Leave the pieces big — you’re going to remove this later. 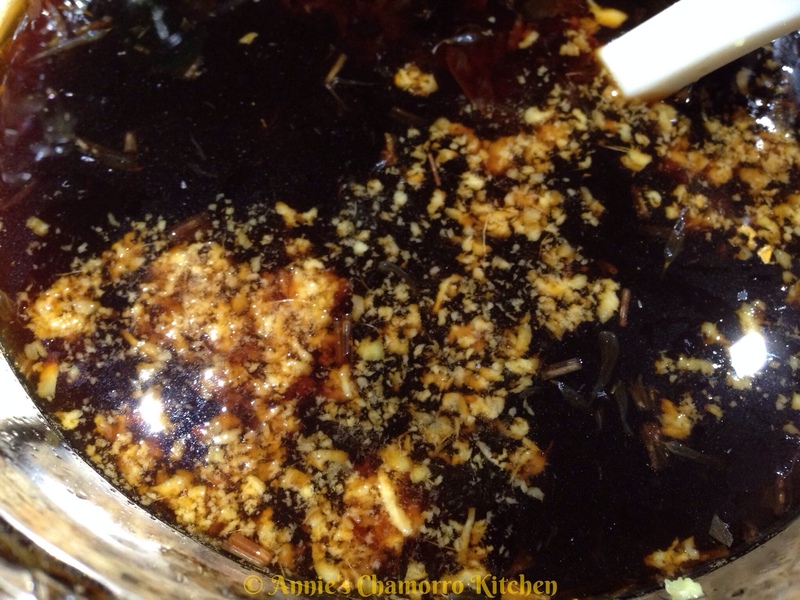 Add the grated ginger. 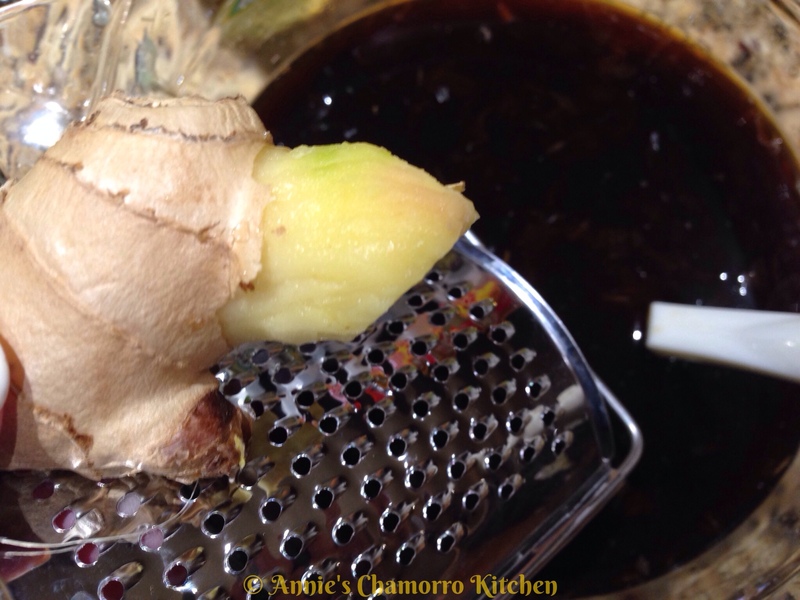 Use fresh ginger — the powdered stuff just won’t taste the same. 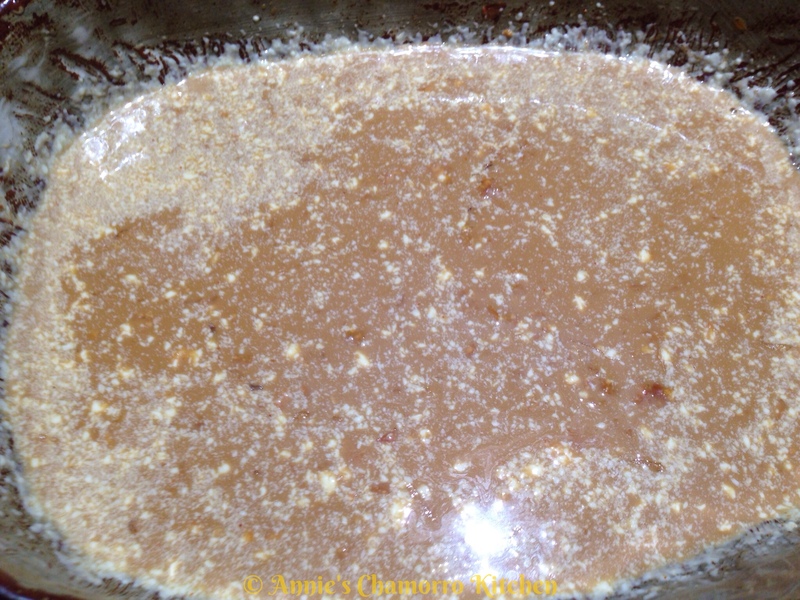 Sprinkle in as much cayenne pepper as you like. You can also add in chopped hot chili peppers. Mix to combine. Set the mixture aside. 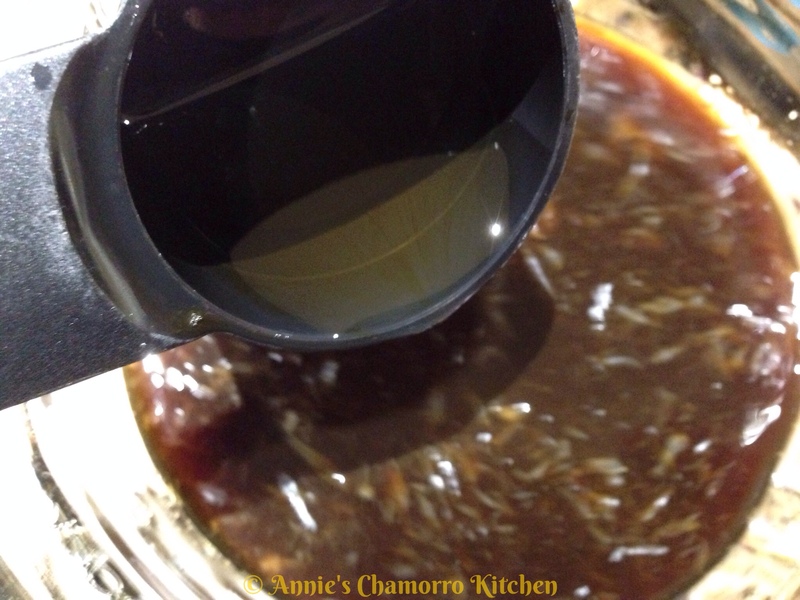 Let it sit for at least an hour to allow the flavors to meld. 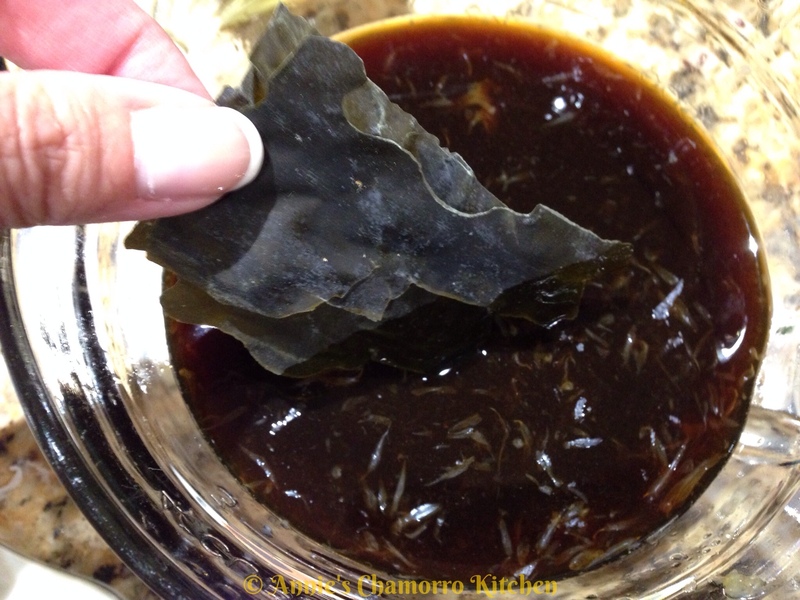 Use a fork to pick out the pieces of kelp; discard the kelp. 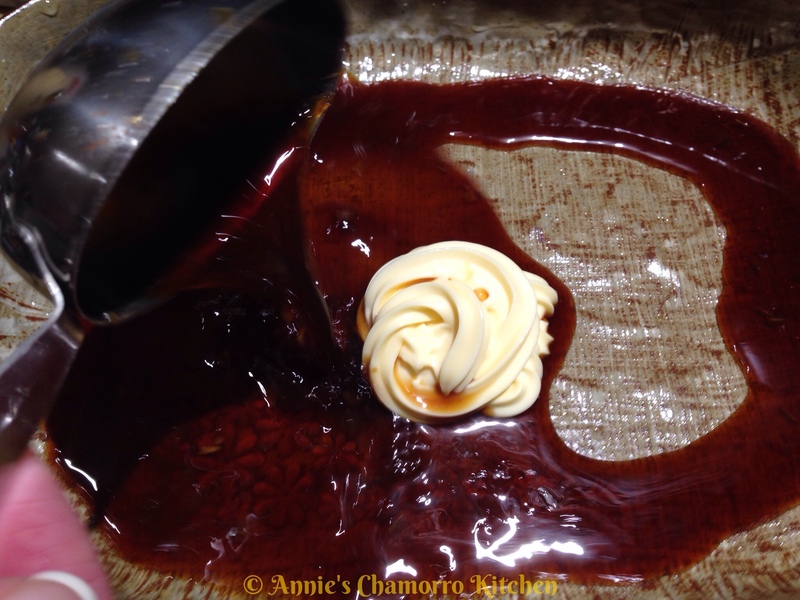 If you want a smooth sauce, pour it into another bowl with a strainer over the top. 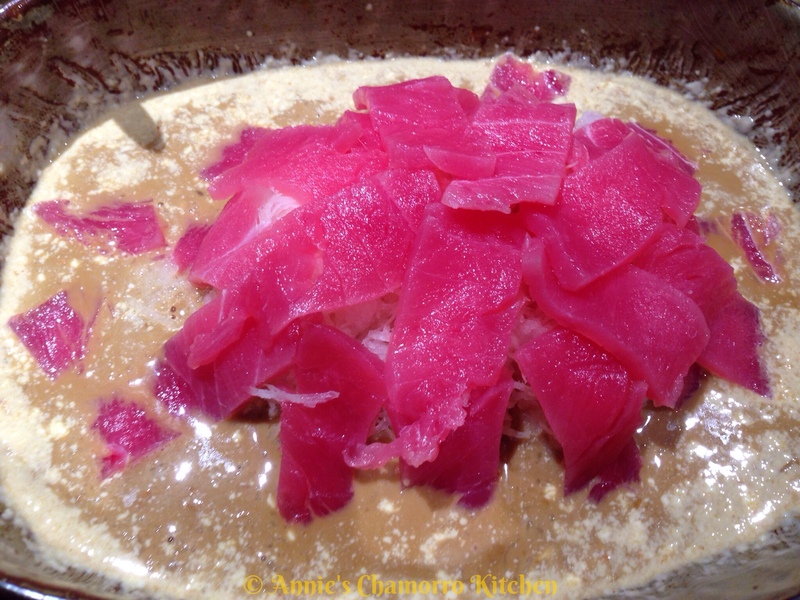 Place the shredded radish into the center of the dish. 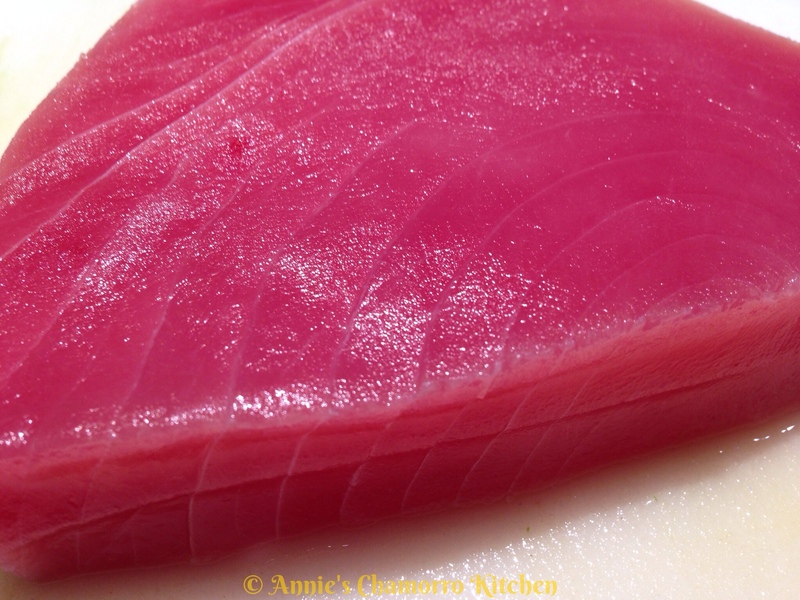 Place thin slices of ahi tuna on top of the shredded radish. Squeeze more kewpie mayo on top of the fish. 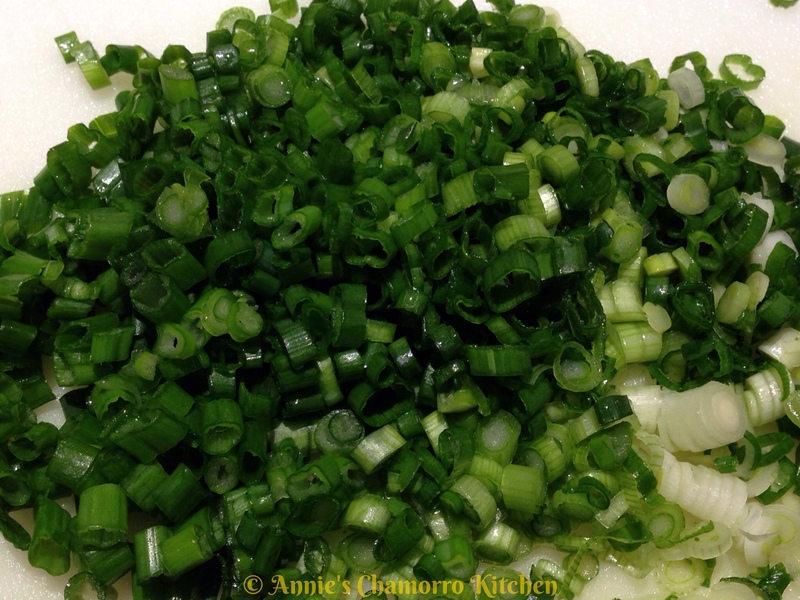 Sprinkle sliced green onions on top. Drizzle more sauce over the fish. Optional: sprinkle smelt roe on top of it all. 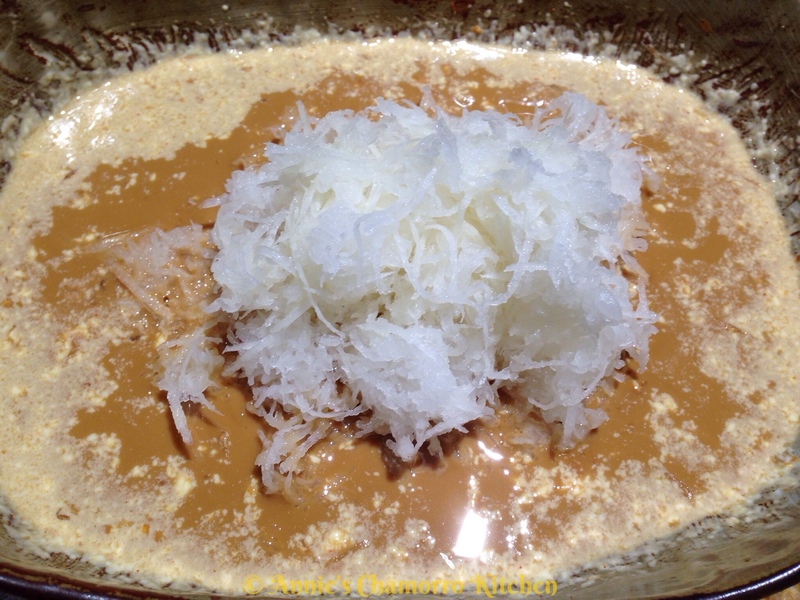 Serve immediately (it’s delicious with steamed white rice) and ENJOY! OMG! I love this so much! I miss being back home and this site just gives me Joy knowing I can make some dishes from back home! I love the person who’s created this site! There was one a time I didn’t like eating Tuna but I learned to like it. 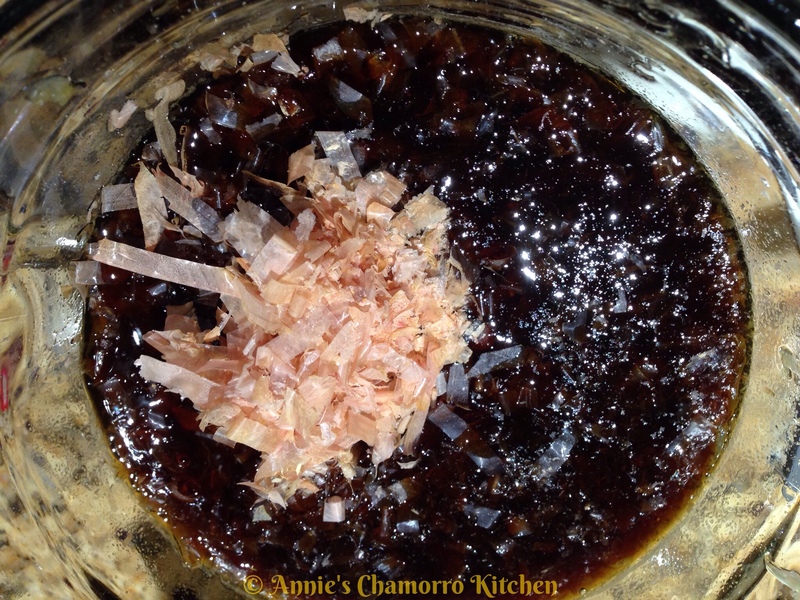 So indeed I will try this recipe… And I found out jut what others recipe of yours to look for POKI 🙂 thanks Annie ! !